When Marvel Studios took to the stage in Comic-Con’s Hall H, it wasn’t just to unveil their new logo (which you can see both above and below); it was, in part, to confirm the cast of Ryan Coogler’s Black Panther, starring Chadwick Boseman in the title role. 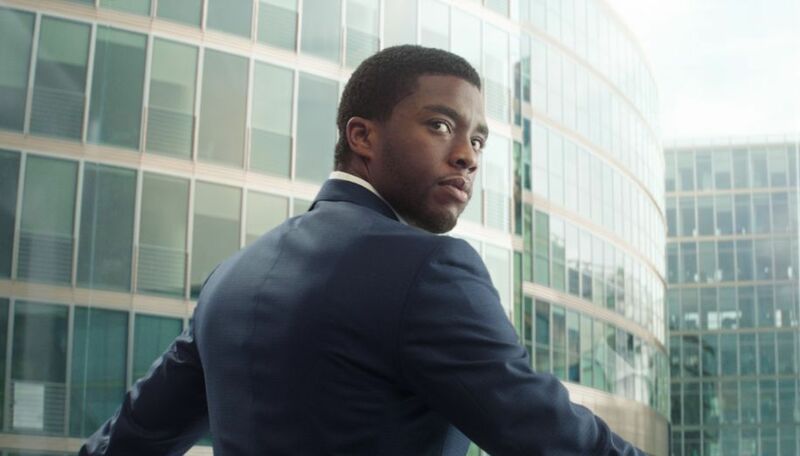 Boseman was already introduced to fans as the Wakandan prince to spectacular effect in Captain America: Civil War, a debut that ratcheted up anticipation and excitement for his own solo adventure. But Boseman won’t be going it alone in Black Panther. Marvel Studios’ chief Kevin Feige was also on hand to introduce (and confirm) the film’s cast, which includes Michael B. Jordan as Erik Killmonger, Lupita Nyong’o as Nakia, and Danai Gurira as Okoye. That’s huge news for both cinephiles and comic book fans alike, ie our beloved readership! Most people probably recognize Jordan’s name as Adonis Johnson in Coogler’s hit Creed; the actor and director previously teamed up for Fruitvale Station as well. However, it looks like Jordan will be playing the villainous role this time around as Killmonger’s comic book history is one fraught with thoughts of revenge and plots to overthrow the Wakandan royal. Oscar-winner Nyong’o also plays a conflicted character since Nakia is anything but a typical love interest for T’Challa, being groomed as his bodyguard but also finding her affections for (and obsession with) the leader turned aside, with disastrous results. Gurira, perhaps best known as Michonne from AMC’s The Walking Dead, plays a friend to Nakia who’s also part of the clan of bodyguards for the king. But when Nakia’s path crosses with Killmonger’s Okoye’s loyalties will be put to the test. Quite the intriguing cast of characters and a solid A-list cast to play the parts!